Born in London in 1956, Coe began his athletics career age 12, at Sheffield’s Hallamshire Harriers squad, where his father was his running coach. In 1977 he made his first mark as a professional athlete, winning the 800m at the European Indoor Championship. After a string of world records, Coe won his first Olympic medal in 1980 at the Moscow games, taking gold in the 1,500m. His second gold came in 1984 at the Los Angeles Olympics. His famous rivalry with fellow runner Steve Ovett dominated athletics through much of those years, and he quickly became the UK’s best known and most cherished athlete – setting 12 middle-distance world records. Coe retired from athletics in 1990 and moved into politics. In 1992, he was elected as Conservative Member of Parliament for Falmouth and Camborne, a seat he held for 5 years, when he became Private Secretary to William Hague, the Leader of the Opposition. In 2000 he was appointed a life peer, becoming Lord Coe of Ranmore. With his sporting and political nous, Coe was asked to head London’s bid to host the 2012 Olympic and Paralympic Games. He led London to victory over Paris, with many pointing to his rousing speech at the 2005 vote in Singapore as the decisive moment. Despite early public cynicism, Coe helped win over the media and London went on to host a phenomenally successful Olympic Games, with Coe at the helm. 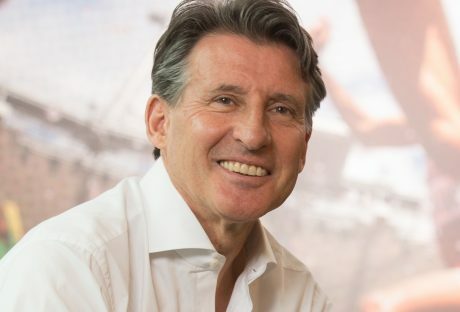 Following the games, Coe was elected Chairman of the British Olympic Association – a post he held until 2016. In 2015, he was elected President of the world governing body for athletics, the IAAF, having been a Vice President since 2007. Packing his speeches with anecdotes from his time as an Olympic athlete, an MP, his chairmanship of London 2012, his turnaround of the British Olympic Association and his presidency of the IAAF through troubled times, Lord Coe demonstrates to audiences his political and strategic expertise in guiding large organisations on the global stage. His themes include leadership, collaboration, crisis management, building resilience, handling change and challenging the status quo. Lord Coe believes in creating a clear, strong vision for an organisation – a simple, transferable set of values which are adhered to at every moment and by every employee whatever their role. This vision, he contends, is key in times of change and turbulence. Throughout his career Lord Coe has found success by leading from the front to make vision a reality. He turned London 2012 into one of the UK’s most successful missions of all time. Lord Coe brings energy, passion and innovation to all his work – qualities which captivate his audiences the world over. Coe, who is married with four children, has received numerous honours throughout his life. He was the BBC’s Sports Personality of the Year in 1979 and in 1982 he was appointed a Member of the Order of the British Empire (MBE). Eight years later he was made OBE. Following his appointment to the House of Lords, Coe was promoted to Knight Commander of the Order of the British Empire (KBE) for his services to sport and in the 2013 New Year’s Honours List he was appointed to the Order of the Companions of Honour (CH). To enquire about or book Sebastian Coe for your event contact Arena Entertainment. Either send an email to info@arenaentertainments.co.uk or speak to one of our booking agents on 0113-239-2222.